Our whole family loves applesauce! Kevin eats it on his pizza (which I think is weird) and his favorite applesauce is the kind that his family makes from the apples that grow on the trees in our yards. We have Jonathan and Wealthy trees and they make great applesauce. I also like to slice the apples and vacuum seal them in bags and then freeze them to use in apple pies throughout the year. I also like to can apple juice for HD to drink occasionally. He really likes it! Last week, I made five batches of applesauce to share with Kevin’s family. HD was my little helper, which he pretty much just played in the water that the apples were in and then he would hand me an apple to chop up every now and then. But he had fun and that’s what counts! 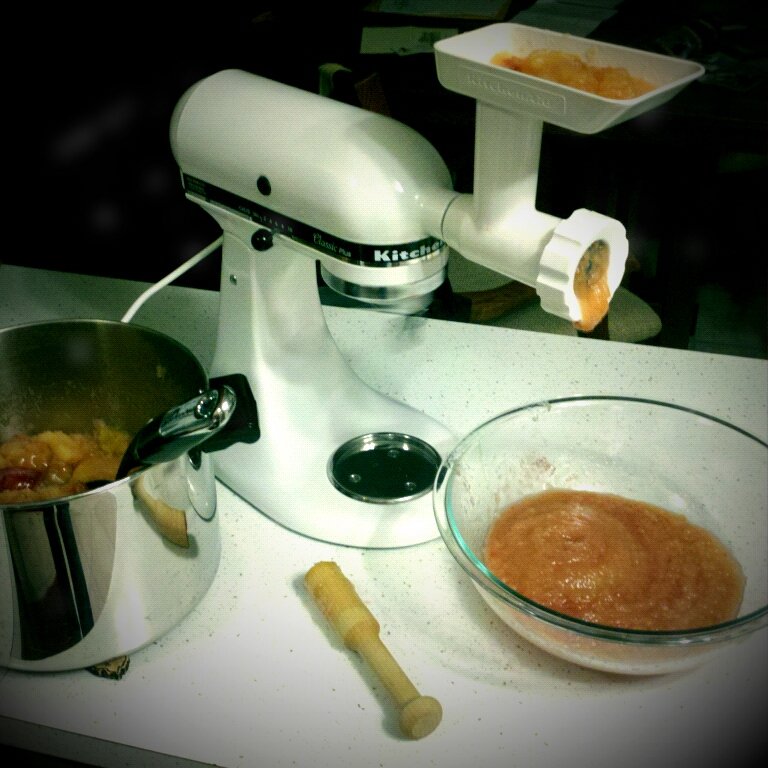 As far as the recipe goes, it is very simple: apples and sugar and that’s it! And the apples don’t have to be perfect for this recipe. 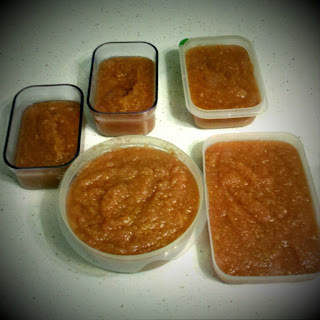 We use the windfall apples in our applesauce (the apples that have fallen out of the trees and landed on the ground). We just cut off the bruises or bad spots and chunk them up. Since I used a meat grinder attachment on my Kitchen Aid mixer, I also cut the cores out. This is easier to do in large batches, so find your biggest pot and put about 1-2 inches of water in the bottom of it. Then fill it up with chunks of apples. Place it on the stove and bring to a boil. 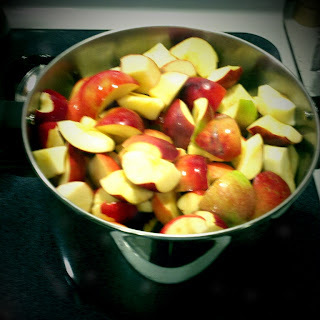 Reduce heat and cook the apples until very soft and mushy. Make sure you stir frequently. As soon as your apples are are cooked, immediately run them through a meat grinder like I did in the picture below, or place them in a food mill or strainer. I don’t have a food mill or a strainer so I thought I’d try the meat grinder and see if that would work. It did and it was so easy and fast! 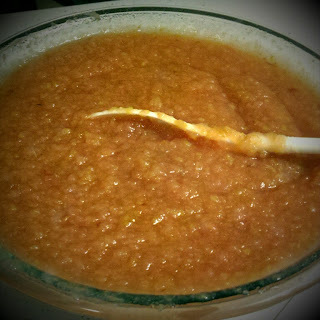 Once you have run the apples through one of the options above, you need to stir in the sugar while the applesauce is still hot so it dissolves. As to how much sugar, it all depends on the apples and your taste. 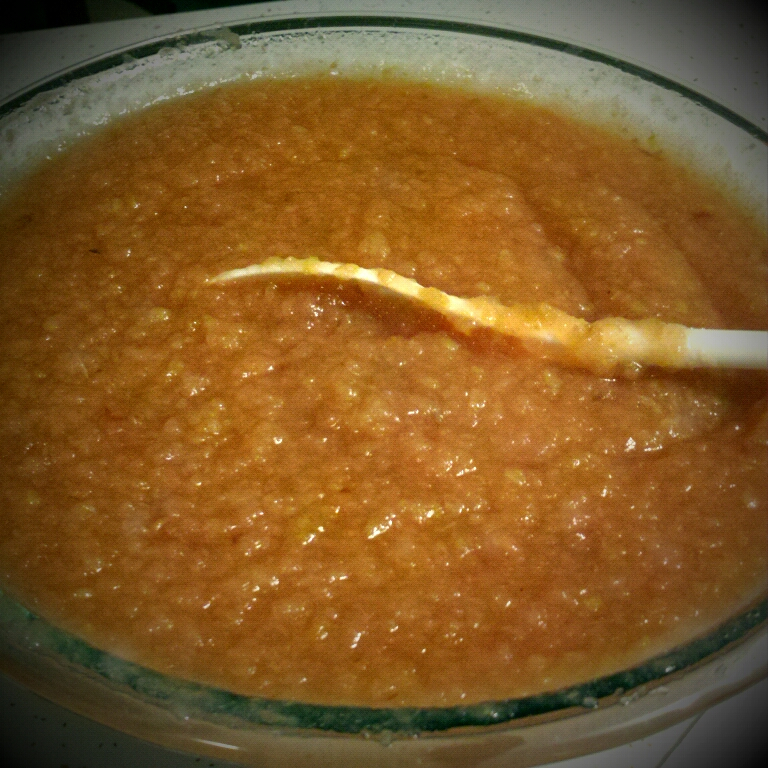 So I’d start my tasting the applesauce before you add any sugar. Then add sugar until it tastes nice and sweet to you. Then place it in containers and let it cool completely before you put the lids on them and place them in the freezer. Very simple to do, but it is delicious! When you want to thaw a container, you can either place it in the refrigerator to thaw in there or if you are in a hurry, I place it in the microwave and defrost it for a few minutes. Enjoy!